The Highlands region of northern New Jersey and southern New York contains rugged hills that are the remnants of an ancient mountain range that has crumbled, eroded and been worn down by 2 million years of alternating ice ages. The last glacial arm retreated about 10,000 years ago from this region after carving out river valleys and leaving hilly granite gneiss stubs with rich veins of magnetite iron ore. The hard iron deposits here are known as veins that both jut upwards aboveground and descend down into the earth for thousands of feet. The area probably forested quickly after the ice age. The great eastern forests contained many hardwoods including chestnut, hickory, elm, oaks, and walnut. Some of these giants were later to be reduced by blights and disease, but for generations their pre-Columbian canopy extended all over the land. The water in the region drained through the valleys in swift rivers with occasional marshes backing up in smaller valleys. All the natural resources for the Colonial iron industry were here: ore for smelting, timber to make charcoal for fuel, and water for powering the machinery. Prehistoric artifacts found on the grounds of Ringwood confirm Native American occupation of the site dating back to the Archaic and Woodlands periods of prehistory. These Munsee-speaking Lenape peoples lived in a hunting and farming paradise at the head of the "Topomopack" or Ringwood River Valley and traded with other natives in the Pompton area. The Lenapi recognized special earth forces at work here, and as long as their memory is, this has been sacred ground with supernatural occurrences attributed to the area. Perhaps it is the earth's immense magnetism at Ringwood that affects all type of matter. It is said that the Highlands region was a gathering place for all of the diverse prehistoric Native Americans of the Northeast. Cornelius Board, a Welsh miner, was probably the first person to mine for iron in the Ringwood area. He came to America in search of precious metals, of which he found none, but recognized rich outcroppings of magnetite iron ore deposits, as well as the requisite sources of water to power the furnaces and forges used in ironmaking. This led Board to purchase a large tract of property at Ringwood in 1740 from the East Jersey Proprietors. He was followed shortly thereafter by the Ogden family who established the Ringwood Company and built the first blast furnace in 1742. After twenty years of production the Ogdens sold the Ringwood Ironworks to Peter Hasenclever, a German promoter. He had organized the American Iron Company to exploit the natural resources in colonial North America, purchasing the Ringwood area in 1764. Hasenclever developed additional ironworks at Long Pond, Charlottesburg, and Cortland, New York, but he made Ringwood the center of his iron empire. He imported more than 500 workers from Germany and England to work in the area. In upstate New York, Hasenclever would go on to establish a plantation to grow flax and produce wood ash. Eventually, Hasenclever's holdings in New Jersey and other areas would exceed 50,000 acres. During Hasenclever's tenure at Ringwood, he oversaw the development of an iron furnace, four forge operations, a grist mill, saw mill, workers' houses, a store, and numerous farms. It was a very large community for a remote area in the mid-18th century. 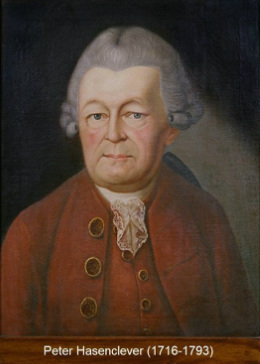 By 1771, the last ironmaster of the American Iron Company, Robert Erskine, was sent from England. 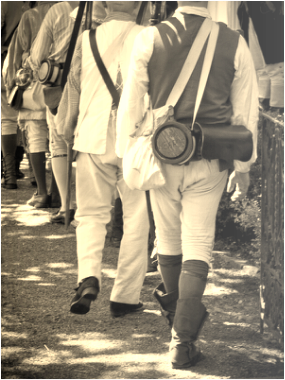 He would manage the company during the Revolutionary War. Ringwood was very important as a strategic location during the American Revolution. The iron mined at the site helped to supply the Continental Army with components of the chain system used to defend the Hudson River, camp ovens, and domestic tools and hardware. A military supply route from Morristown to West Point passed through the property. During the Revolution, while Robert Erskine resided here as iron master, he became General Washington's map maker using his technical skills to further the Patriot cause. As the army's first Geographer and Surveyor-General, Erskine produced more than 200 highly accurate maps. Ringwood saw at least five visits from General Washington. Erskine also called on his considerable talents to solve the complex problem of defending the Hudson River against British invasion. He designed a unique tetrahedron-shaped obstruction, known as a Marine Chevaux de Frise, which he proposed to be placed in the Hudson River to stop the British sailing vessels by ripping holes into the hulls of the ships. Erskine died at Ringwood on October 2, 1780 and is buried in the old cemetery along with more than 150 pioneers, early ironmakers and Revolutionary War soldiers. In 1807, Martin J. Ryerson purchased the historic ironworks and began building the first section of the present Manor circa 1810. The home was a small, 10-room, Federal style building. The Ryersons, father and sons, continued to operate the iron mines and forges on the property for the next half century. In addition to the property at Ringwood, the Ryersons had iron making operations that were located at Long Pond, Wanaque, Bloomingdale, and Pompton. 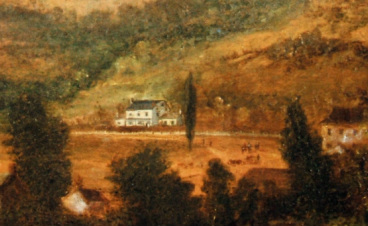 In 1853, the Ryerson's house and property were purchased by Peter Cooper. 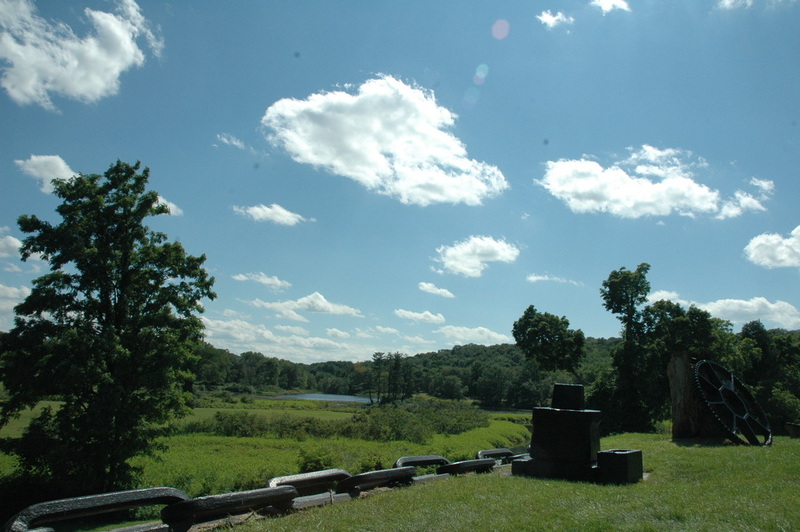 Cooper purchased the 19,000 acre site, which included the Long Pond ironworks area, for $100,000. Cooper's iron business, Trenton Ironworks, was managed by his son Edward and his son's business partner, Abram S. Hewitt. Cooper & Hewitt's iron business was a successful and expanding business and the purchase of the Ringwood property ensured an adequate supply of iron ore for the future. Cooper and Hewitt was the major supplier of gunmetal to the Union cause during the American Civil War. During the pre- and post-Civil War era, Cooper & Hewitt was one of the largest, most important concerns in the iron business. But, by the end of the 19th century, it was no longer a major player in the iron and steel industry. The forges, mills, and farms that once serviced the iron industry gradually turned into the Victorian summer estate of the Hewitts, one of the wealthiest and most influential families of 19th-century America. Mrs. Hewitt decided to make a portion of the old Ringwood estate her family's summer home. Additions to the Manor were constructed in 1864, 1875, 1900, and 1910. The completed house of 51 rooms was built in a wide range of styles that characterized the Victorian period with the interior furnishings equally eclectic since the Hewitts were avid collectors and traveled extensively around the world. Their collection even extended to the grounds of Ringwood Manor, where various iron products, artifacts, and sculptures enhanced the formal gardens. Eventually, the iron industry moved further west in America and Ringwood's iron mines finally closed. In 1938, the Hewitt family donated Ringwood Manor and its contents to the State of New Jersey. Preserved as a historic house museum and State Park, Ringwood Manor and its grounds are excellent examples of Victorian wealth and lifestyle.